Polyurethane (PU) with steel cord reinforcement. 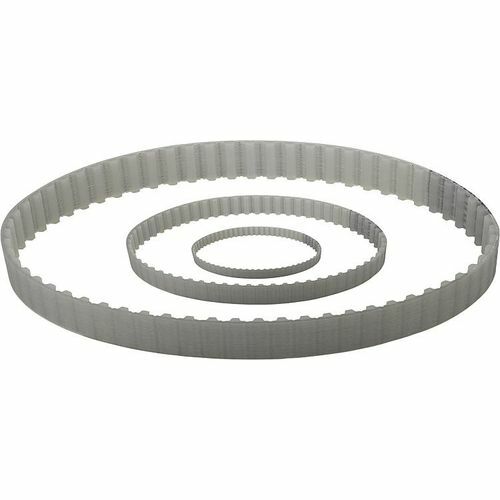 Endless toothed belt with trapezoidal profile to DIN 7721 T1 with metric pitch. Ideal for drives with high belt flexibility. Permits smallest pulley diameters. The toothed belts are intended for drives where precision is a requirement, safety is important and the effects of chemicals are a concern.